While those answers may be correct, they neither give a full explanation, nor consider other things that led up to the final event. It is similar to coming home and finding the front door broken and ajar. You ask, “What happened here,” and someone answers, “The door got busted open.” Sure that is what happened, but doesn’t give a full explanation. To fully understand, you need to know how and why. 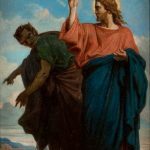 Before we continue this study of the true need for Jesus’ death, let us consider a situation that we can later use as an analogy. Suppose someone kidnaps a family member and sends a ransom note demanding one million dollars for their return. Basically, the kidnapper has valued the victim’s life as worth one million dollars and will exchange the victim for the payment of that amount of money. The kidnapper doesn’t care if the money is yours or belongs to someone else, only that it is the ransom price to purchase back that which was lost. The ransom is paid and the family member is returned. Many philosophers, and even some prominent religious leaders, teach that this event was only symbolic, but this author feels that although it may be allegorical in some regard, the event was very real. Some ask, why put the tree of knowledge of good and evil in the garden, if he did not want them eating from it? It is because God wanted his human creations to use their free will and chose to obey him rather than being forced to do so. God expected they have faith that he knew what was best for them. It was at this point, in history, when sin (a rebellious nature or infection) entered the world. Adam and Eve were no longer perfect; they carried a malicious trait in their makeup and had no way of reversing their error, and in time they died just as God foretold. But while alive, they genetically passed on this sinfulness and death to their children and then from their children to others. All humans have inherited sin from this one deed committed in the garden of Eden, so very long ago. As time passed, man’s sinfulness continued to escalate and its evidence is now everywhere. As the bible says, “Therefore, just as sin came into the world through one man, and death through sin, and so death spread to all men because all sinned” (Romans 5:12). Since then, the earth has always been inhabited by a population of sinful and dying people. There is science behind the fact that things we do can change our DNA, which can be passed down through heredity. An article on the website “Natural News” indicates this fact. “According to the science of epigenetics . . . stem cells and even DNA can be altered through magnetic fields, heart coherence, positive mental states and intention.”4 Epigenetics is the study of how factors, outside of DNA, can influence changes in gene expression. Searching “epigenetics” on the internet will give more examples. The first humans only had one simple law to obey and we can see what tremendous consequences can sometimes be brought by a simple act of disobedience. Humans suffer mostly because of their own actions, even to this day. Evil is in this world not because of God, but because of Satan the Devil. One might wonder that if God can do anything, why didn’t he just undo the situation; delete it, as we say. Well, there are a couple of reasons. 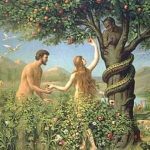 First, when God made the first human couple, he stated that his work was very good (unblemished, perfect) but gave them the attribute of freewill; it was their choice to listen to the serpent and disobey God. God expected them to have faith that his rule was correct. Second, God gave them a heads up, so to speak, and stated the consequence if they disobeyed and, since God does not lie, he cannot retreat on his word. The only way to repurchase a perfect life lost is to exchange it for another perfect life, one that had never sinned, but Adam had no means to do so. Concerning the tree of knowledge of good and evil, when God said “. . . in the day that you eat of it you shall surely die,” he didn’t mean that very same day of 24 hours, but spoke of it as a period of time, just as we may, sometimes, refer to something ‘back in our grandparents day.’ There is evidence in the holy bible that a day to God is like a thousand years to us. 2 Peter 3:8 states “But you must not forget this one thing, dear friends: A day is like a thousand years to the Lord, and a thousand years is like a day” (NLT). And, indeed, the individual life span of our ancient ancestors continued for nearly one thousand years before they died. The events in the garden of Eden started a war between good and evil – between God’s way and Satan’s way – which takes the entire bible to fully understand. But God didn’t create the world on an impulse; he knew what he was doing and had a plan to resolve this dilemma. Following righteousness (God) will produce good results, but following evil (Satan) will produce bad results. It is easy to see in the world around us, today, that this is true and the more we follow God’s rules, the better we sail through life. Sometimes the good we do will affect others, just as the evil we do also spills over into the lives of those around us. This is the premise of God’s lesson for us; there is a consequence for all our actions and after the world experiences this certainty long enough, he will deliver mankind from the power of Satan. Some theologians divided the bible into periods of time, called dispensations,5 one of which is “Grace.” All of these divisions are important to God’s plan and tell what leads up to the coming of the Messiah (promised deliverer) and even after, but this study’s topic concerns grace. It was just before the beginning of this current Dispensation of Grace when Christ died for our sins. The idea of grace involves forgiveness, salvation, regeneration, repentance, and love of God.6 Similar to the one basic rule given in the garden of Eden, there is one primary rule during the grace period and that is believing in Jesus Christ. “And anyone who believes in God’s Son has eternal life. Anyone who doesn’t obey the Son will never experience eternal life but remains under God’s angry judgment” (John 3:36, NLT). Jesus was born genetically perfect, since the embryo inside his mother was not created by Mary and her husband. It was created and then implanted by God and therefore did not have inherited sin, as does the rest of humanity. Mary was a surrogate mother used by God, so Jesus was physically and morally perfect at birth. But he still had to taste life and suffer its lessons while maintaining his perfection. Growing into a mature adult, he experienced all the uniqueness of being human. He knew hunger and thirst, joys and sorrow, desires and disappointments, being filled with elation and driven by anger; he became fully human. He saw sin in the world and was even tempted by Satan. Matthew 4:1-11 gives the account of Jesus being personally tempted for quite some time and records that he never yielded to sinfulness. Jesus has been the only perfect human since Adam. “He committed no sin, nor was deceit found in his mouth” (1 Peter 2:22, NKJV). At the age of thirty, shortly before his being tempted by Satan, Jesus requested that his cousin, John (the Baptist), baptize him in the Jordan River. After this baptism, Jesus prayed and saw the heavens open “and the Holy Spirit descended on him in bodily form, like a dove; and a voice came from heaven, ‘You are my beloved Son; with you I am well pleased’” (Luke 3:22). It was immediately after this event that the Holy Spirit sent him into the wilderness where he was tempted by Satan (see Mark 1:12,13). 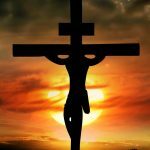 During this lengthy event, it is evident that Jesus was also made aware of his intended purpose here on earth – to sacrifice himself to pay the death penalty that brought sin upon humanity. Jesus’s ministry lasted about three and one-half years and had crucial importance. He taught before crowds, gathered followers, healed the sick, performed miracles, cast out demons, and demonstrated the law as God wanted it obeyed. As he did this, he also became a threat to the spiritual leaders of the time. These religious leaders eventually brought legal charges against Jesus saying he wanted to make himself king. These were trumped-up charges, because, in reality, they just wanted him out of the way as he was teaching against what they taught. Jesus was a threat to their power and position and, because of this, he was hated by them. The Roman legal system, administrated by Pontius Pilate, brought him to trial, but could find nothing legally wrong and declared him not guilty. However Pilate left it up to the Jews to do what they wanted with him. The religious leaders wanted him crucified, and so he was (see Matthew 26:57—27:56). He would have lived forever, had he not been killed. Jesus died without sin. Of course there is much more concerning the implications of the life of Jesus and they are all explained in the Gospels (Matthew, Mark, Luke, and John) and later books of the bible – the New Testament. Now, we will bring this all together. At the start of this study, there was an example of a kidnaping incident. Something was lost (a family member) and there was a ransom price (the money) which was considered equal in value. The ransom was paid and the family member was returned. In the garden of Eden, something was lost (a perfect immortal life) and there could only be one ransom price (another perfect immortal life) which could be considered of equal value. The ransom was paid, with Jesus’s death, and eternal life was returned to Adam. Jesus purchased back Adam’s perfect life by giving his own perfect life in exchange. If Adam is deemed to have his perfect immortal life returned, it would be a retroactive correction and any imperfection in his DNA would be eliminated. Therefore, if Adam is once again found perfect, that should eliminate all the sin and imperfection handed down by heredity all through history. But, just as we may purchase something and tell the store we will come by and pick it up later, likewise, the price has now been paid for the restitution, but that will only happen after the end of this Dispensation of Grace, after everyone has had the chance to learn about Jesus. “And the Good News about the Kingdom will be preached throughout the whole world, so that all nations will hear it; then the end will come” (Matthew 24:14, NLT). Jesus said, “that everyone who believes in him will have eternal life” (John 3:15, NLT). Those that choose to believe in him can gain everlasting life, while those that do not believe in him will not. Once again, there is a test of freewill and faith. 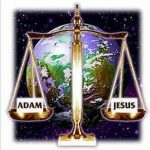 Like Jesus and Adam, each of us must be tested as to our desire to follow God instead of Satan. Soon after his death, Jesus was resurrected, just as all humanity will be after the end of this dispensation. All believers in Jesus Christ will have a chance for perfection and eternal life and those who died before learning about Jesus’ sacrifice will get their chance in the next dispensation – the Millennial Kingdom of Christ. 2. Unless otherwise indicated, all scripture quotations are taken from The Holy Bible, English Standard Version (ESV), ©2001 by Crossway, a publishing ministry of Good News Publishers. The text has been used by permission. All rights reserved. 3. Lewis, C. S., Mere Christianity, (New York: HarperCollins Publishers, 1952), chap. 6, p. 95. 5. Ryrie, Charles C., Dispensationalism, (Chicago: Moody Publishers, 1995), pp.58-65. 6. Williams, Derek, Ed. New Concise Bible Dictionary, (England: Inter-Varsity Press, 1989), p.203. finally I understand after being confused from 42 years of going to a baptist church. it makes so much sense now. thank you, thank you. I’m happy that you are happy. “Then you will know the truth, and the truth will set you free” (John 8:32, NIV).